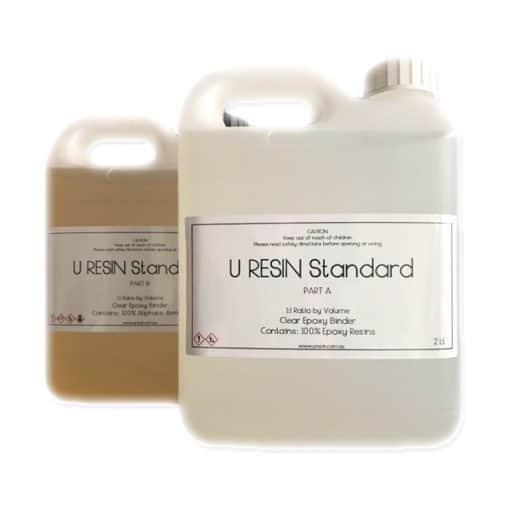 U RESIN Standard is a 2-part Epoxy Resin system. All our Epoxy Resin kits come including both Part A and Part B. (Individual parts NOT sold separately) U RESIN Standard is an easy 1:1 ratio by volume. All U RESIN, resin and colourants are proudly Australian manufactured and supplied. 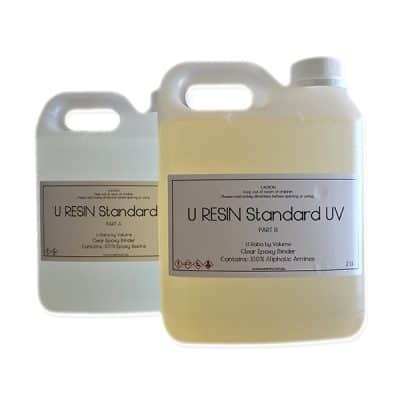 U RESIN Standard has a low viscosity. It has good movement and flow when poured and allows for good blending of colours. It has very few bubbles and will disperse when poured or with any heat. 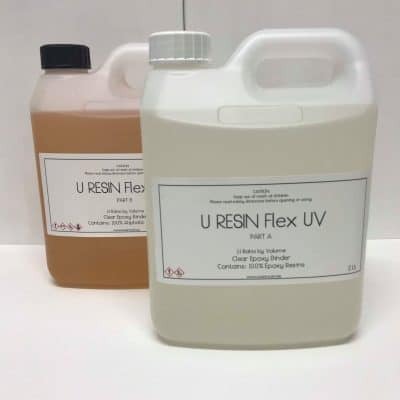 With a long working time of 45-60 minutes and easy to use ratio, this is a great system for beginners of resin artworks looking to experiment, filling timber crevices with colourants or as a beautiful glossy clear coat over other artworks. 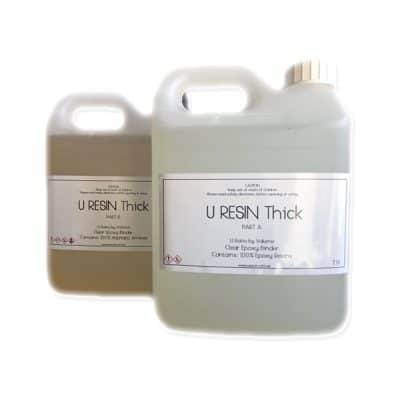 U RESIN Standard is a self-levelling resin system that has been designed purely for flat surface coating and provides a beautiful glass-like finish when mixed, poured and cured. 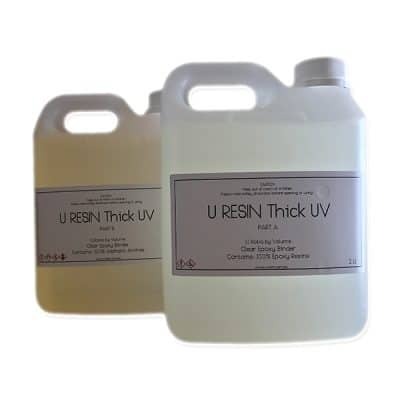 U RESIN Standard can withstand up to 80 degrees (Celsius) in temperature, once cured and post cured (7-10 days).